Is this part of the enclave collection next to the quad that Jack and Joanne just rehabbed? I think there were actually 6 homes in there, much like what Hoyt Terrace looks like now? There were four in front and there were four across the back, all facing 6th street and, I am almost positive, all were duplexes with the one quad. I looked at these when Operation New Hope owned them. They had actually started working on the ones in the back when one of them burned. I also looked at them again when someone wanted the property and to just tear all of the structures down and put up condos (yes, seriously, he could have pulled it off too - I was brought in by a common friend to discourage him.) 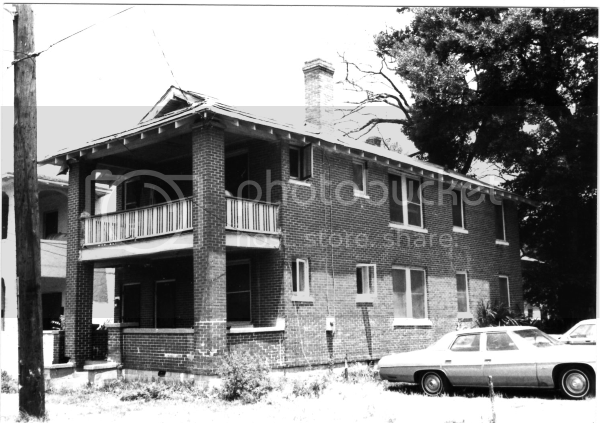 I also looked at the quad for someone to buy and rehab but at the time, SPAR kept saying that it could only be a duplex, even though it was, in my opinion, built as a quad.